The Glenn Beck Review: “Crime Inc:” law breaking or propaganda? During the week of 5/2/2010, Glenn Beck has been revealing what he claims is going to be a big story about corruption in a wheel of “crime” that seems to have the Chicago Climate Exchange (CCX) at the hub. From the CCX website, “Chicago Climate Exchange (CCX)operates North America’s only cap and trade system for all six greenhouse gases, with global affiliates and projects worldwide.” As previously pointed out, Beck is a climate change denier; and, therefore, since there is no global warming, CCX must be a criminal enterprise in his mind. How could anyone not believe a face like this? Not really: first Beck’s ratings have dropped over 30% in the last few months, the hypothetical drop in Lebron James’ per game averages that he suggested is 2.5%. So for Beck 30% = 2.5%; that’s the “truth.” When Beck claims that he’s telling the truth, you can be sure that his claims merit fact checking. There’s more to Beck’s “brutal honesty.” According to TV By the Numbers, Beck’s show totaled 2.2 million viewers, not 3.2 million for the week of 4/25 which is the week he’s discussing in the clip. Oops! Beck didn’t beat hiscompetition “by a mile” as he claimed. In fact, here again he’s lying! For more examples of his blatant dishonesty, see Does Beck Tell Lies? Volume II or Does Glenn Beck Lie? Volume I, the maiden post for share this URL about Glenn Beck. The point of factually demonstrating that Beck lies or distorts reality while he’s claiming to be “brutally honest” is to re-establish a baseline of deceit before addressing his claims about how the Joyce Foundation (JF), the CCX, Apollo Alliance, GIM (Generation Investment Management, co-founded by Al Gore) and of course Beck’s nemesis, President Obama, who Beck stated on 5/4/10 was, not is–like he had previously misspoke–on the board of the JF. That part of his story checked out; Obama was on the board of the JF from 1994 to 2002. The two salient points are: first that the $1.1 million Beck claimed were given by JF to CCX in fact did not go to CCX at all. The CCX related money went to Northwestern University to study the feasibility of establishing the CCX! Second, the amount for this purpose was $760,000. The remainder went to a dance theater. Beck has promised the viewers of his show that he is going to continue to expose this criminal syndicate as he calls it, but he has made no specific accusations of criminal activity. Criminal activity inherently means that some law was or is being broken. Beck has not said what law is being broken, and he likely will not. Still, that is not likely to stop him. Beck is clearly aware that success in advertising stems in part from repetition, and he’s going to be repeating these baseless charges over and over again until his audience becomes convinced that the President is a criminal and that the CCX is at the hub of this syndicate. Beck understands that enough people are gullible and want to believe the worst about the President. For them if Beck says it–over and over–it must be true. While most people do not take the time or make the effort to actually fact check his claims, some people are watching and fact checking. 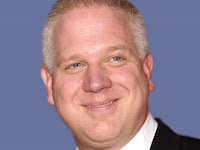 Beck will no doubt dismiss his critics as “leftists” because he has learned a lot about his trade from Rush Limbaugh. Is there any way to turn the gullible into the skeptical? Nobody likes to be lied to, nobody! If Beck’s supporters could be exposed to his systematic deception, perhaps they would find a more honest right winger to listen to. Please, share this URL, http://sharethisurlaboutglennbeck.com/ with others, and have them pass this along. Will any honest conservative step forward and put to shame Beck’s deceit and shameful, paranoid and ignorant accusations just as William F. Buckley did to the John Birch Society in the 1960s? We know that no Republican politician will challenge Beck on this; it’s an election year. They want the base aroused. George Will, where’s your spine? Where’s your integrity?